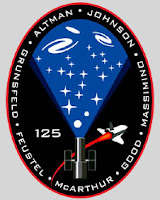 On May 11, from the launch pad 39-A, in Cape Canaveral, Florida, the STS-125 mission will return the space shuttle to the Hubble Space Telescope for one last visit before the shuttle fleet retires in 2010. 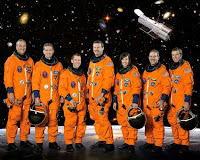 Over 11 days and five spacewalks, the shuttle Atlantis’ crew will make repairs and upgrades to the telescope, leaving it better than ever and ready for another five years – or more – of research. It's a mission to once more push the boundaries of how deep in space and far back in time humanity can see. It's a flight to again upgrade what already may be the most significant satellite ever launched. And, for the space shuttle, it's a final visit to a dear, old friend. 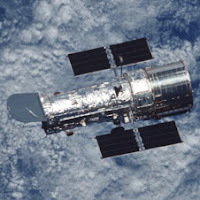 The shuttle Discovery launched Hubble in 1990, and released it into an orbit 304 nautical miles above the Earth. Since then it’s circled Earth more than 97,000 times and provided more than 4,000 astronomers access to the stars not possible from inside Earth’s atmosphere. Hubble has helped answer some of science’s key questions and provided images that have awed and inspired the world.